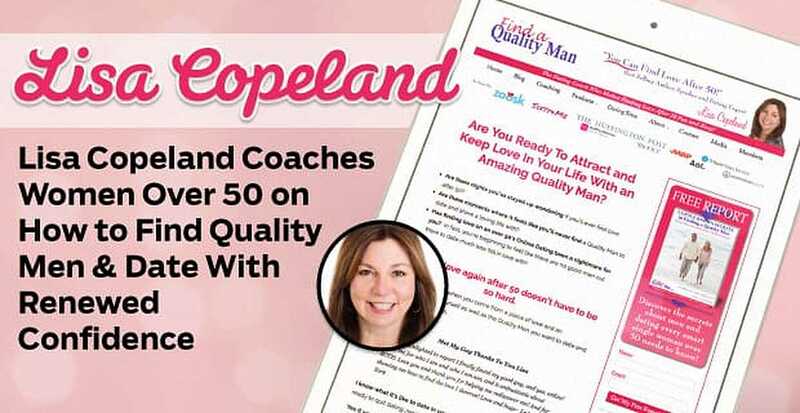 The Short Version: Best-selling author and dating coach Lisa Copeland knows what it’s like to be a single woman over 50 — because she’s lived it. She draws from her own experiences with dating and relationships to enlighten mature women feeling at a loss in the modern dating scene. Her private coaching sessions provide personalized dating advice exclusively for single women over 50. She supports women in the dating world and gives them the tools to understand what makes a successful dater at any age. Additionally, Lisa offers self-help workshops, books, and blog posts filled with encouraging, step-by-step directions on how to attract the right man online and in real life. Whether you’re recently divorced or widowed and wondering how to get back out there or stuck in a rut and hoping to go on more second dates, Lisa Copeland supports mature women on the journey to a happy and fulfilling love life. When her second marriage ended, Lisa Copeland felt like a failure. She had failed to pick the right men. She had failed to understand what qualities would make a marriage last. Alone at age 50, she felt trapped in a heartbreaking dating pattern. 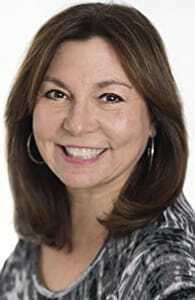 Lisa Copland became a dating coach because she wanted to share her insights with women over 50. That was an aha-moment for Lisa. She decided to do whatever she could to turn her love life around and meet quality men who wouldn’t break her heart. She knew could figure this out. Lisa started by looking for a dating coach to talk through some of her issues, but she couldn’t find one for single women over 50. So she had to be her own coach. She began reading everything she could about men and dating, and found by approaching dating with a can-do attitude, Lisa began enjoying flirting with guys and going out on more second dates. Soon, she began giving her friends tips on how to have fun while dating. Eventually, she decided to start her own dating coaching business called Find a Quality Man to share her success with clients all over the world. As a dating coach, Lisa focuses on women over 50 who haven’t found their Mr. Right yet. Her private coaching, group workshops, and published works encourage women to let go of their fears and make good choices that lead to fulfilling relationships. Currently, Lisa coaches mature single women by phone and on Skype. Through one-on-one coaching sessions, Lisa gives her clients a dating blueprint for finding the right person. She offers actionable advice on meeting men online and in person so women have more than one way to find quality dates. Dating coach Lisa Copeland gives hope, support, and guidance to singles who feel alone. According to Lisa, women in their 50s have to adjust their dating tactics and realize that they’re dating men, not boys. What worked as a 20-something dater isn’t going to be as successful as an adult dating a widower or a divorcé. In Lisa’s experience, mature daters care more about shared values, common interests, and personal qualities. So dating a man who is relationship material means building a friendship that will last far beyond those initial butterflies. If you want to correct your mistakes on your own time and take control of your dating life, Lisa’s workshops (available as a CD series) can be a great starting point. In “Understanding Men 101” and “The 4 Secrets to Finding Mr. Right,” Lisa offers the tools to enjoy meaningful relationship success. She confronts the mistakes she sees women making over and over again — including mistakes she herself has made — and shows women that change is possible. The classes guide singles on how to decode what men are thinking and become more attractive to the right type of man. “‘The 4 Secrets to Finding Mr. Right’ provided the kick-start I needed to begin dating as a middle-aged woman.” — Lorna P.
Lisa provides step-by-step resources tailored to a mature dating audience. She teaches women everything from flirting online to picking the right man. Her advice is accessible to anyone looking to give their dating lives a boost. Her book — “The Winning Dating Formula for Women Over 50” — outlines how to attract and keep a quality single man in seven simple steps. Plus, you can find more succinct tips on her blog. This expert resource answers common dating conundrums, such as where to meet quality men and how to deal with ghosting, from the perspective of a single woman over 50. Every week, she writes a new article packed with guidance. Lisa has been coaching for years now and has seen many of her clients go on to enjoy successful relationships. In following her advice, single women often feel happier and more optimistic about dating. You can read through glowing reviews about Lisa’s coaching here. One woman named Gretchen felt lost after her husband died. She didn’t want to be alone but hadn’t dated in more than 30 years! She came to Lisa for advice on how to find a loving relationship as an older woman. Soon, she had a profile on a dating site and was taking proactive steps toward finding love again. In the days after she left her second husband, Lisa wondered if love was in her future. She dreaded starting again as a single woman in her 50s, but, in doing so, she rediscovered how fun and rewarding dating could be. After some hard work and soul-searching, she gained the confidence and knowledge she needed to make a relationship work. Now, with a positive outlook on dating, Lisa inspires women over 50 to enjoy the same success by taking advantage of all the dating opportunities out there. Her coaching sessions and workshops explain what mature men want and how to pick compatible partners, so single women feel empowered to get in a long-term relationship no matter their age.